Whatever happens, it happens on Twitter. Last year, Philippines’ Twitter timeline was ruled by the entertainment industry. As 2018 bids farewell, Filipinos have proven that Twitter is the go-to platform to track #WhatsHappening in the Pinoy entertainment scene, as it dominated the conversation this year once again. This 2018, entertainment remained to be the biggest conversation driver among Pinoy users. It was a year top billed by local and international talents from BTS and EXO to Maine Mendoza and Mayward. 1. #BTS—Filipino fans and supporters of the Korean boy band, Bangtan Boys dominated this years’ top hashtag. 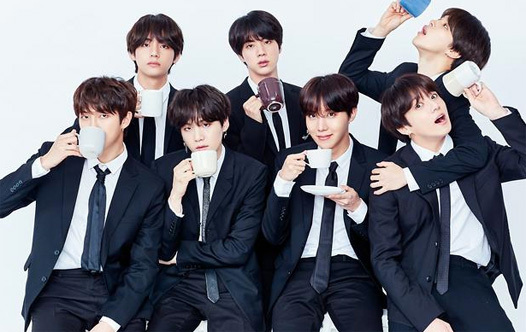 BTS fans continue to show their love for their idols across the country through the platform. Looking back, Filipino fans rooted for them at the Kids’ Choice Awards, which contributed to the band’s success in winning the orange blimp for Favorite Global Music Star. 2. #EXO—The K-Pop scene is truly strong in the Philippines. Filipino fans didn’t fail the band as it took the spot on this year’s top hashtag as they kept Twitter alight of their support for their idols. 2018 is a memorable year for PHIXO-Ls as they have witnessed EXO’s comeback through a concert in the country, EXO PLANET #4 last April 28. Fans expressed their warm support for the band at the Mall of Asia Arena and on the Twitter platform. 3. #MORPinoyBiga10—My Only Radio or MOR 101.9 For Life has been known on supporting Original Pilipino Music. As such, every weekend they do a weekly round up on the most requested Pinoy music. Fans gathered on Twitter using the #MORPinoyBiga10 to Tweet in their requested song of their favor Pinoy artist. 4. #ABSCBNBall2018—This first-ever #ABSCBNBall2018 has been one of the most awaited events of the network as this year’s ball showcased the full roster of Kapamilya stars compared to the previous years’ which was limited to the Star Magic artists. The charity ball generated 5.6 million Tweets from fans all over the Philippines and overseas. 5. #MaineMendoza—The reigning top female celebrity on Twitter, Maine Mendoza’s constant success shows her fans’ endearment for her. Twitter never gets dull with Maine fans Tweeting on their happiness and excitement seeing their idol blooms in her career. 6. #PushAwardsMayWards—One of the most anticipated awarding that recognizes today’s Kapamilya top online influencers promoting positivity in the digital realm is now on its fourth year. Using #PushAwardsMayWards, MayWard fans show their eagerness to get their favorite love team to win at this year’s #PushAwards2018. 7. #Mayward—Former PBB housemates and one of the most sought-after love teams, Maymay Entrata and Edward Barber continue to make a name both as a love team and individually as they take on several projects this year. 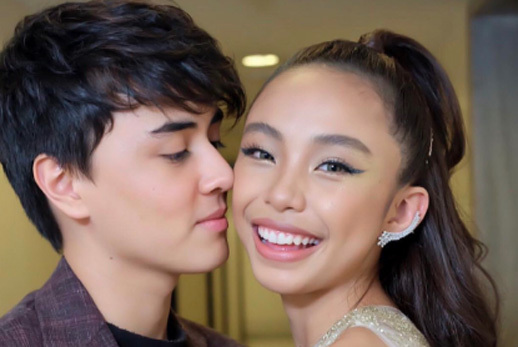 Fans of MayWard constantly share their kilig moments on Twitter. 8. #DyisIsItManila—This is another weekly round-up of MOR 101.9 for Life wherein they play the top 10 most requested OPM song for the week. Fans were eager in supporting their favorite Pinoy artist. As of now, Maymay Entrata leads the top chart with her single “Bituin”. 9. #ALDUBWithBroadwayBoys—Aldub has been consistently trending everyday. Without a doubt, fans continue to be very supportive of the phenomenal love team - Maine Mendoza and Alden Richards, even though they have pursued individual projects. In July, Aldub fans were definitely awed with their musical number from a broadway musical, Grease, in the noontime show where their love team was born, Eat Bulaga. 10. #TheHowsOfUs —Top-billed by the famous love team of their generation, Kathryn Bernardo and Daniel Padilla, the story revolves around a young couple’s dream of growing old together as they as they dealt with the ups and downs of a long-term relationship. The movie was a blockbuster with KathNiel Fans sustaining the conversation on Twitter.